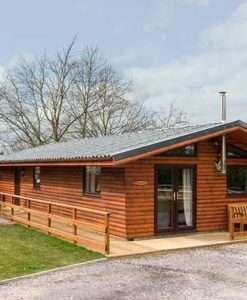 Around 1.5 miles from the nearest town, you're guaranteed complete peace and quiet. 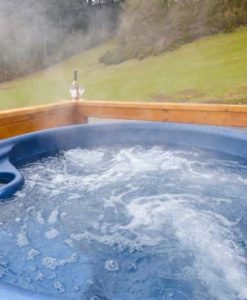 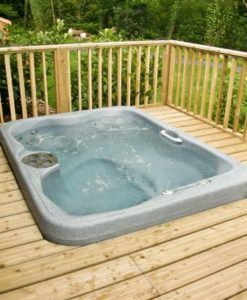 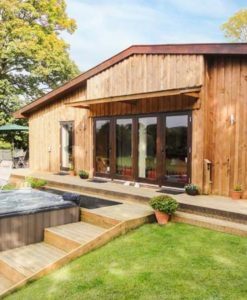 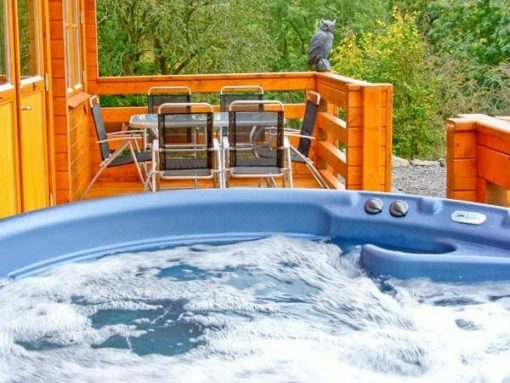 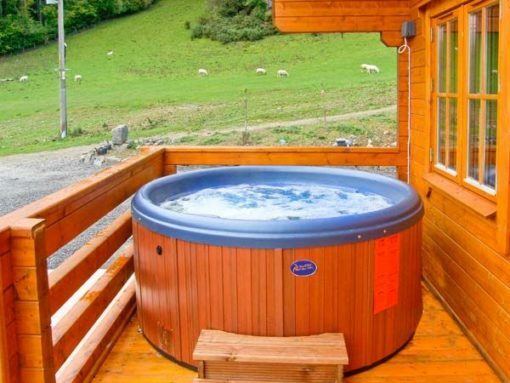 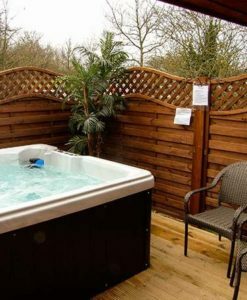 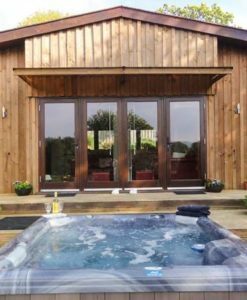 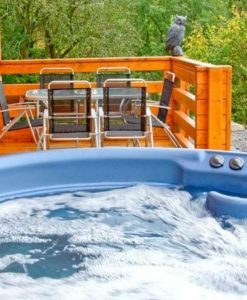 Take in the fresh country air and glorious views in the rejuvenating hot tub jacuzzi. 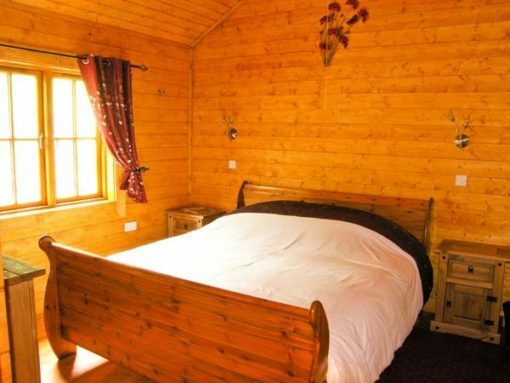 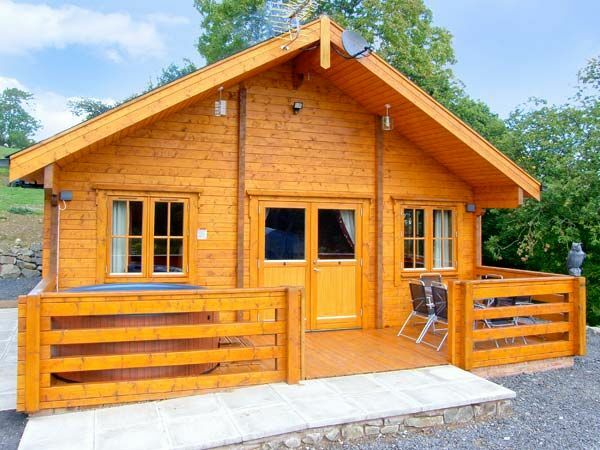 Stay 7 nights in The George Lodge for as little as £380. 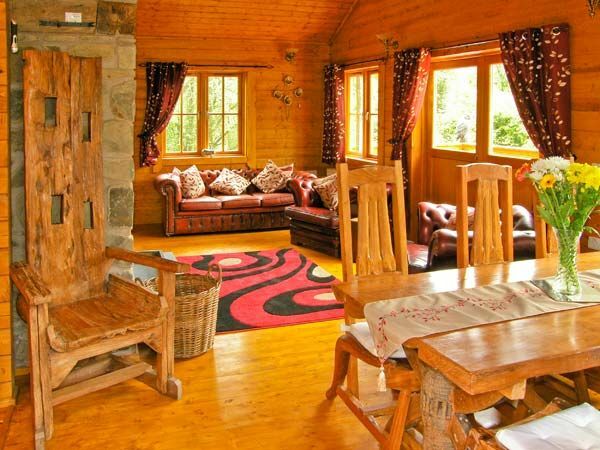 Book early to secure your stay in 2016. 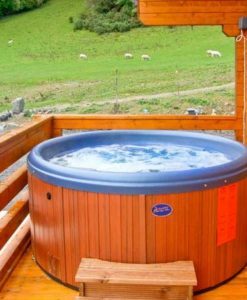 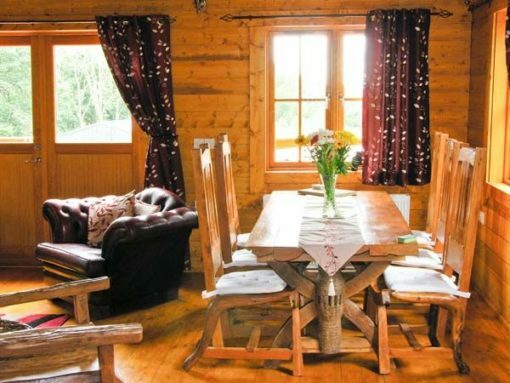 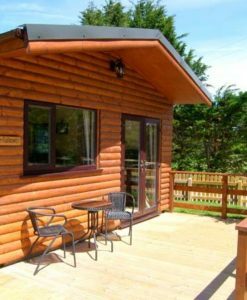 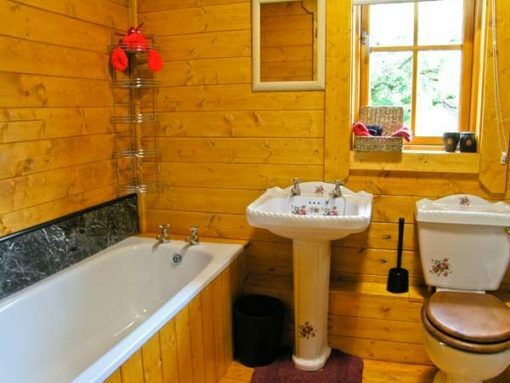 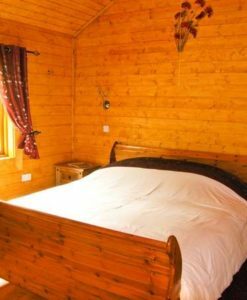 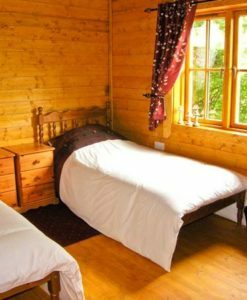 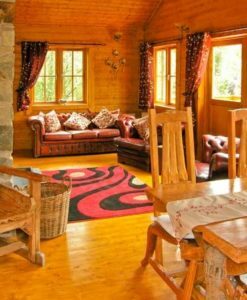 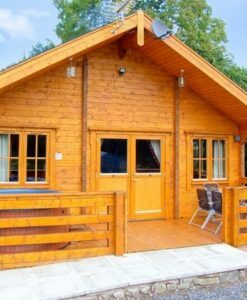 A detached, pine-built log cabin situated on the owner’s 16-acre working smallholding, which is home to sheep, chickens, guinea fowl and ducks, and all surrounded by wooded hills and beautiful scenic valley views in a lovely part of Mid Wales. 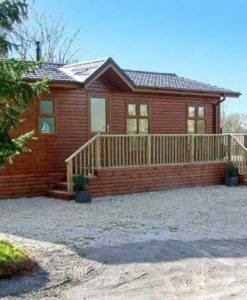 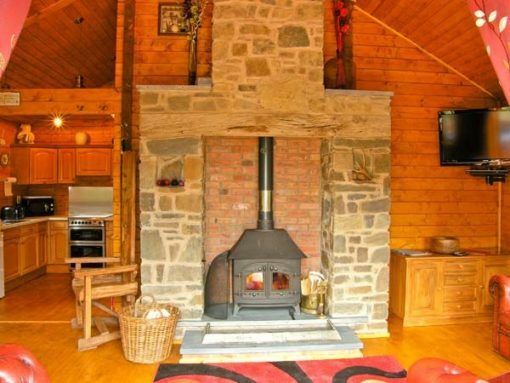 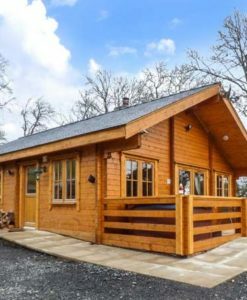 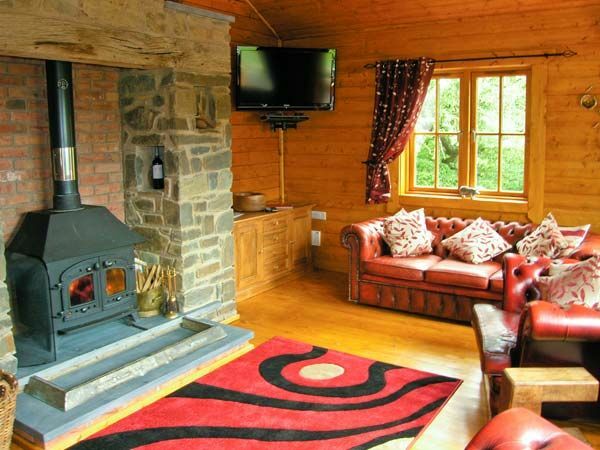 This Bettws Cedewain log cabin provides beautiful, far-reaching views with a quality open plan living area with an impressive stone-built inglenook fireplace housing a large woodburner, creating a cosy and welcoming atmosphere throughout. 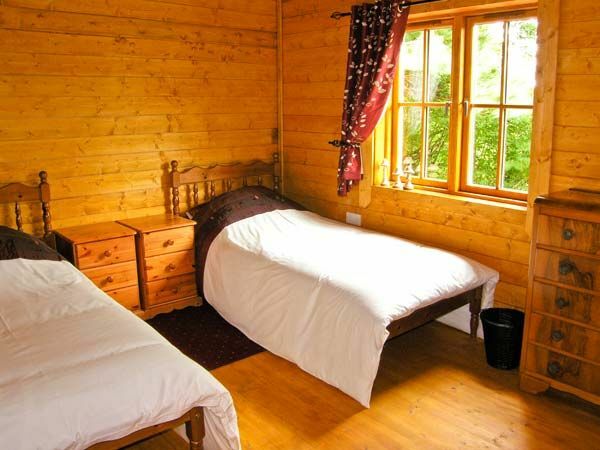 Two bedrooms: 1 x super king-size double with TV, 1 x twin. Open plan living area with fitted kitchen, dining area and sitting area with woodburner. 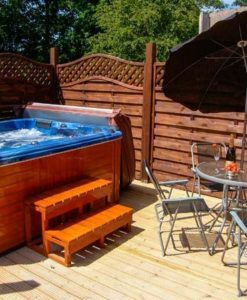 Front, decked veranda with hot tub and furniture, plus front gravelled area with large picnic table and BBQ. 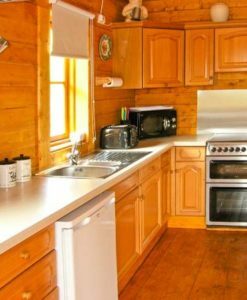 Electric double oven and hob, microwave, fridge. 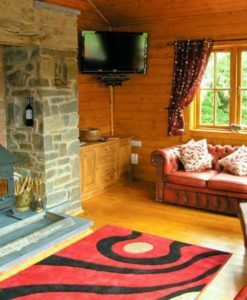 2 x TVs (one with Freeview), 2 x DVDs, selection of books, games and DVDs. 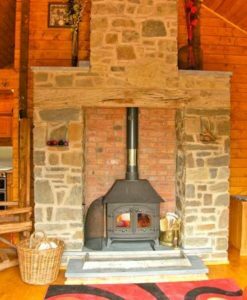 Fuel, power and wood for woodburner inc. in rent. Bed linen and towels inc. in rent, please bring own hot tub towels. 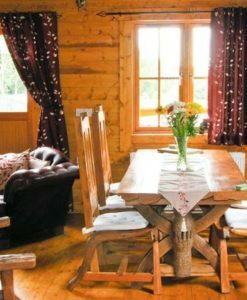 Travel cot and highchair on request. 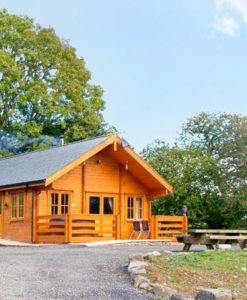 Off road parking for 3 cars. 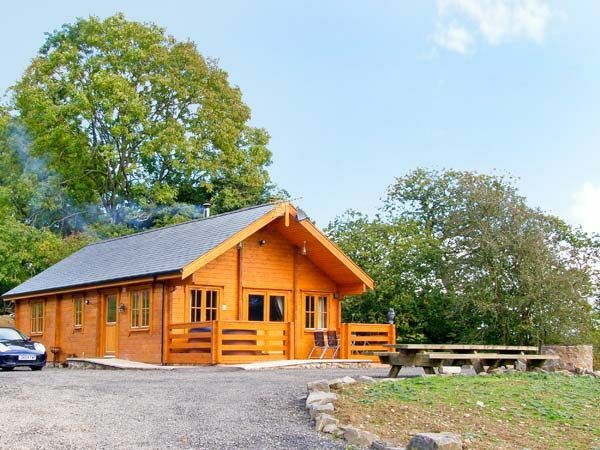 Shop 3 miles, pub 1.5 miles, train station 5 miles. 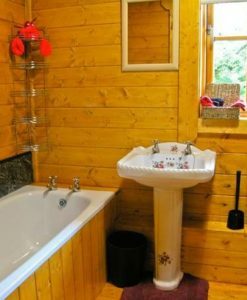 Water is from owner’s own fully tested and inspected well. 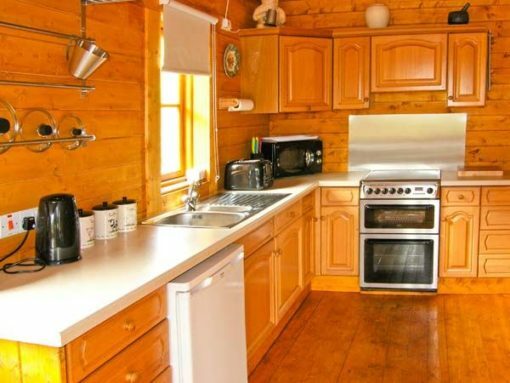 Property is all ground floor and has ramped wheelchair access. 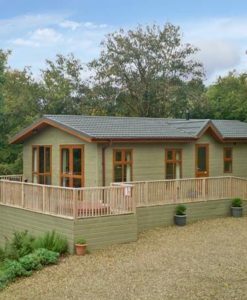 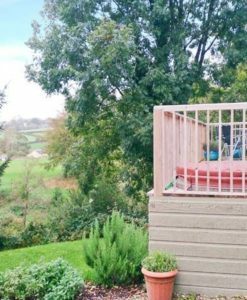 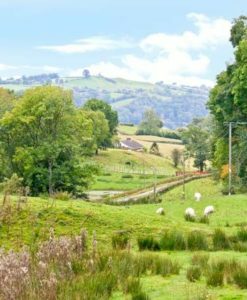 Ideally positioned west of Newtown and Welshpool, this is a lovely region of Mid Wales, and is also close to the Shropshire border. 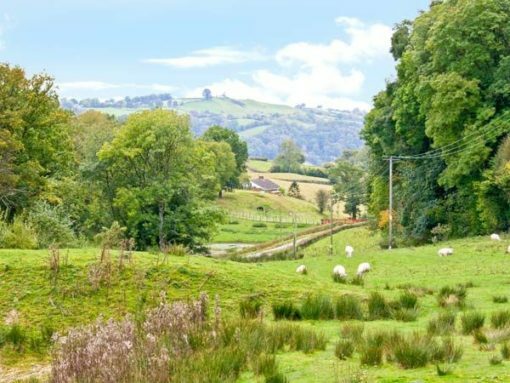 Newtown is set on the banks of the River Severn, and offers an art gallery, museums and array of attractive shops and pubs. 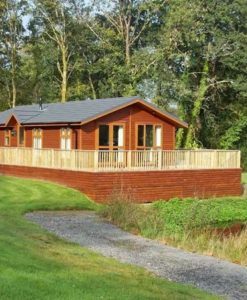 The area provides a variety of scenic walking and cycling as well as fishing, clay pigeon shooting and quad biking opportunities. Explore the ruins of the ancient Motte and Bailey castles situated close by in the beautiful old county town of Montgomery, and in the hills above the village of Abermule, or experience scenic rides on the Welshpool and Llanfair Light Railway. 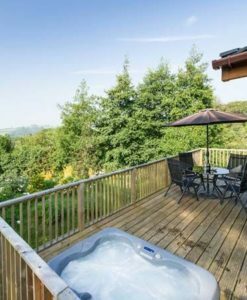 Visit the famous NT Powis Castle and Gardens or Gregynog Hall and Gardens, or take excellent scenic walks along Offa’s Dyke. Enjoy day trips to delightful Aberdovey on the stunning Cardigan Bay coastline, a paradise for watersport enthusiasts, or medieval Ludlow and Shrewsbury in nearby Shropshire.